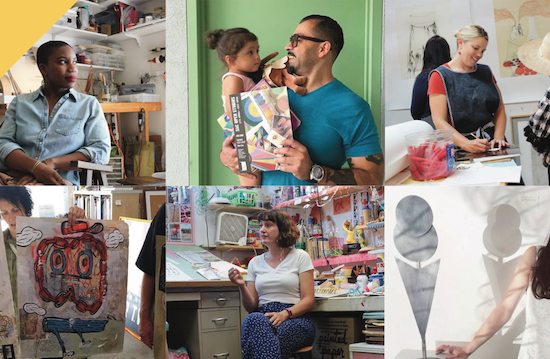 Proudly led by Verge Center for the Arts and known as the region’s oldest, largest and most prestigious open studio program for local artists, the highly anticipated 2018 Sac Open Studios officially kicks off with a Launch Party on September 6, 2018, followed by open studios scheduled over two weekends: September 8-9 & 15-16, 2018. Free and open to the public, the 13th Annual Sac Open Studios will showcase nearly 250 artists throughout the region. New this year, the popular annual event has expanded beyond Sacramento County to include participating artists and studios in West Sacramento and Yolo County. Throughout the month of September, the community is encouraged to take self-guided tours and/or participate in special exhibitions, events, workshops, performances and parties where they have the opportunity to meet local artists, view artistry in action and gain new appreciation for the creativity of talented local artists. Additionally, this unique event provides an opportunity for interested community members to see works of art and many studios that are not normally available for public viewing. Originally established in 2006 by the Center of Contemporary Art Sacramento (that later merged with Verge Center for the Arts in 2014), Sac Open Studios allows participants the opportunity to engage directly with artists while enjoying and experiencing a self-guided, art-focused exploration of the greater Sacramento region. To help kick-off the event, the free Sac Open Studios Launch Party will be held at Verge Center for the Arts (625 S Street in Sacramento) on Thursday evening, September 6, 2018 from 6 to 9 p.m. The launch event will include live art in action, entertaining live music, hands-on children’s activities, food and beverages for purchase, and the opportunity to mix, mingle and network with the thriving local artist community. The launch event will also mark the opening of Verge Center for the Art’s fall exhibition (with video and installations by Yoshie Sakai) titled KOKO’s Love: The Technicolor Unfairy Tale Ball that runs through October 28, 2018. The two-weekend self-guided tour is organized geographically (with some exceptions) as follows: the weekend of September 8-9 primarily includes studios west of Highway 99/Interstate 80 while the weekend of September 15-16 includes those east of Highway 99/Interstate 80. For more detailed tour information, a comprehensive 68-page Sac Open Studios guidebook/magazine – complete with a full schedule, map and event listings – will be available August 3 at more than 500 locations around the region, or can be downloaded online at www.vergeart.com/open-studios/tour-guide/ once available. A unique collaboration between Verge Center for the Arts, local artists, arts organizations, schools and colleges, and involved businesses, Sac Open Studios is generously sponsored by the following: Blick Art Materials & Capital Public Radio (regional sponsors) and Inside Publications (media sponsor) along with community partners that include: Art Tonic, Chalk It Up, Sacramento Fine Art Center and University Art. Additional support for the 2018 Sac Open Studios is provided by Sacramento Metropolitan Arts Commission (SMAC), City of Sacramento and the County of Sacramento Board of Supervisors.